From the opening lines, when she is simply leaning up against the stage and commenting upon the prologue, Gemma Arterton effortlessly commands all attention as this bold and fascinatingly charismatic young woman. There is no denying that it is a carefully crafted and seductively written part, and Arterton brings her to life with a dazzling charm and fascinating presence that does not allow you to tear your eyes away from her for a second. That is bar, perhaps, the moment in which Milly, the most adorable King Charles Spaniel, is brought onto the stage – emotional bribery at its best. Not only does Arterton provide an enthralling portrayal of an irresistibly loveable character, but with subtle traits and quirks through her performance, she weaves together disjointed and elusive pieces of Nell Gwynn’s history, enriching this shadowy figure with each swish of her skirts or knowing pout of the lips. The rest of the characters are comparatively caricature, offering a mocking of the extravagant trivialities of the Restoration period and particularly the conventions of theatre at this time. In fact, Swale’s script is very self-aware, and continually and cleverly mocks itself and the very act of playwriting itself. Nancy (Michele Dotrice), Nell’s dresser and confidante, and Edward Kynaston (Greg Haiste), the actor who traditionally plays the female roles, have an abundance of notably hysterical scenes, in a way that cunningly mirrors the dramatics of Charles II’s (David Sturzaker) royal endeavours. There is not a dull moment in this production; it is an exceedingly well-written and developed plot, which provides just the right balance of light and dark, of pure ridiculousness and heartfelt truths. Nell Gwynn is certainly not a predominately political or historical play, but it does raise certain questions about the place of women, and particularly women of a lower class, at a time when women were just beginning to be accepted into the world of theatre, and evidently the royal court. 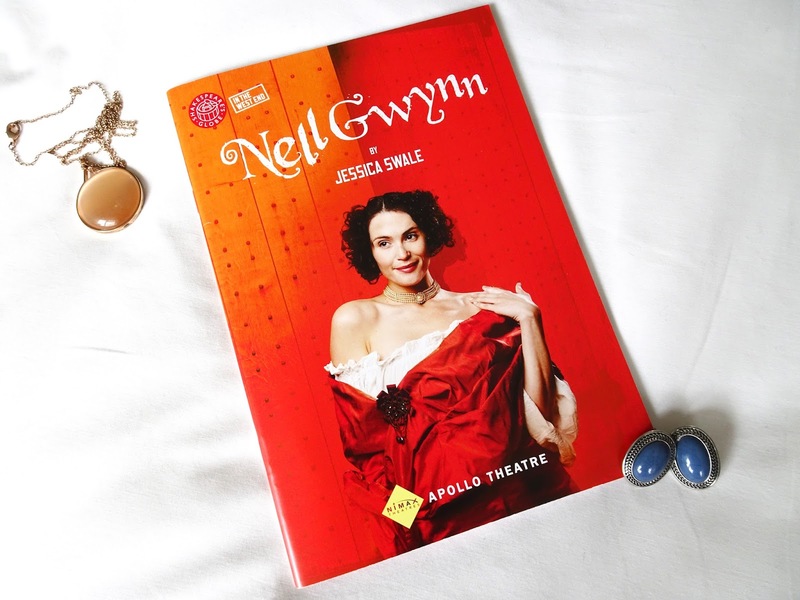 It is worth seeing Nell Gwynn for Gemma Arterton’s captivating performance alone, but with the run finishing at the end of this month, there’s not long left to catch this brilliant production, which, down to its core, is a truly entertaining piece of theatre.